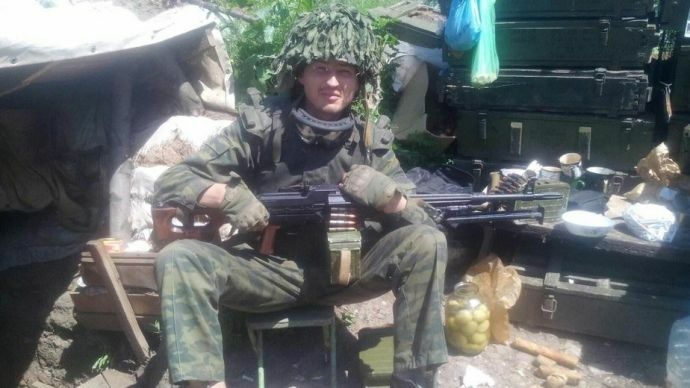 Belarusian national Aleksey Yershov, 29, who fought against Ukraine in Donbas, has been sentenced to two-year home confinement under a law forbidding participation in a militant formation in a foreign state's territory, armed conflicts or hostilities without authorization from the government if there are no signs of mercenarism, according to the Belarusian newspaper Nasha Niva newspaper. The hearing took place in the Belarusian city of Vitebsk behind closed doors, Nasha Niva said. His home confinement rules provide that he is not allowed to leave the town of his residence. Every day, he must return straight home from his place of work or study, follow the schedule set by the law enforcement agencies, and is forbidden to turn off phones. Yershov, who is a resident of the Belarusian town of Pastavy, took part in hostilities in eastern Ukraine on the side of Russia-backed militants of the self-proclaimed Donetsk People's Republic. Read alsoNo de-escalation in Donbas amid 13 attacks on Ukraine troops on Sept 25The publication notes that Yershov did not hesitate to post Donbas photos on social media showing him with firearms, beside tanks against the backdrop of entry to the Russian-occupied city of Donetsk. Yershov's wife and a child reside in Belarus. Earlier, Belarusians who are at war in foreign countries could be convicted only if accused of mercenary activity. However, the Belarussian KGB security service initiated amendments to that country's Criminal Code. As a result, not only those who are hired to fight for money, but those who have ideological beliefs could be prosecuted. The publication notes that Belarus earlier had no cases of trial for participation in hostilities.